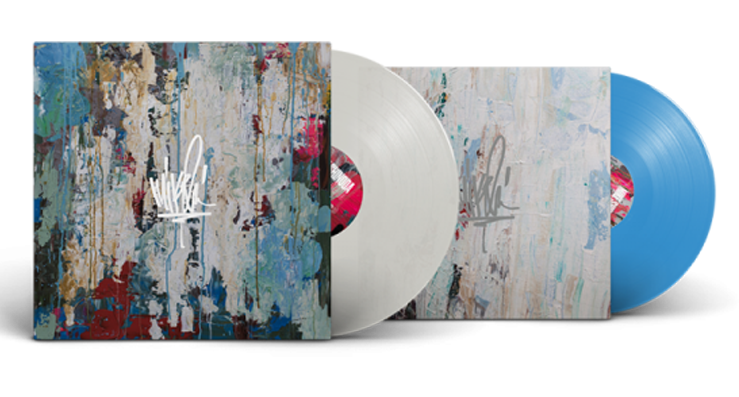 Track by track impressions of Mike Shinoda's new album. Watch the music video for Mike Shinoda's new track now. In honor of Chester Bennington help spread awareness for mental health and depression. Check out Derek's new Alternative Music website! Linkin Park's latest album out now. Become A Member Of Our Forums! Join a thriving community, comment on news posts and make new friends today! Donate today to help support relief efforts for natural disasters around the world. Listen to our 80 minute talk with Linkin Park's Mike Shinoda here. Dragondust, yujianfacai8, minuteforce, Michele, and 134 more. The music video for Mike Shinoda's track “I.O.U.” is now available to watch on YouTube. This music video, directed by Chady Awad, features live footage from Mike Shinoda's Post Traumatic Tour. "I.O.U.” marks the 14th music video off of Mike Shinoda's debut album, Post Traumatic, which is available now. "World's On Fire" and "Hold It Together" are currently the only songs off of Post Traumatic without Music Videos. You thought 13 music videos for songs off one album would be enough for Mike Shinoda, but you've underestimated him once again: Shinoda is now teasing another "Post Traumatic" video, this time for crowd-favourite hype banger "I.O.U."! The video will premiere on Monday, March 4 at 9AM PST. If you want to be among the first to see it, you can visit the YouTube page and set up a reminder right now. Appropriately, Shinoda is set to embark on a European tour tomorrow, and Awad has been on hand to document the current rehearsals so there may yet be more content to come. A commemorative photo exhibit, entitled "Celebrating the Life of Chester Bennington," has been scheduled for March 20th, 2019, which would have marked Chester Bennington's 43rd birthday. The exhibit, featuring never-before-seen photos from Jim Louvau (an artist and close friend of Chester's), will be hosted at The Black Sheep Gallery in Burbank, CA from 7-10 p.m. that day. Louvau, who met Chester in 2000 just prior to the release of the band's debut album Hybrid Theory, will showcase photos taken of Chester throughout his career. Portions of the proceeds will go to Talinda Bennington's 320 Changes Direction charity for suicide prevention. According to Louvau, "Over the course of our 17-year friendship I was lucky enough to document the evolution of the young musician who never took himself too seriously to the family man and philanthropist he developed into... Now it's time to honor the memory of someone who I owe a great deal of gratitude by sharing the art we created together with the world and continue to celebrate his legacy on his birthday." A limited number of tickets are on sale ($25) for the event, and can be purchased online via Eventbrite. If you are in the area and plan to go, let us know on our forums. Out of nowhere Mike Shinoda has just added another show in Tel Aviv, Israel to his touring schedule. Like the previous show it will take place at Hangar 11 and it will be on March 26, 2019. Much like the first Tel Aviv show on March 25th, LPUnderground members are being offered the chance to gain early entry into the venue on the day of the show, so if you're not a LPU member make sure to sign up for the fanclub! The contest can be found here! Fans wondering what Mike Shinoda's recent Instagram vagueness was teasing now have their answer: a new "Post Traumatic" tour date has been announced! Shinoda will be performing a show in Tel Aviv on March 25, 2019. This will serve as the conclusion to the European tour leg that he is set to embark upon at the beginning of March. The Tel Aviv show will take place at a venue called Hangar 11, and tickets are now available for purchase through Ticketmaster Israel. In addition, Linkin Park Underground members are being offered the chance to gain early entry into the venue on the day of the show - sign up for the latest LPU contest here! More information about Shinoda's 2019 tour dates can be found on mikeshinoda.com. As previously reported, Lamb of God guitarist Mark Morton's forthcoming solo album, Anesthetic, features a collaboration with the late Chester Bennington titled 'Cross Off'. The album is due for release on March 1. Although the song leaked online on December 18th 2018, it officially aired on Zane Lowe’s Beats 1 radio show today. It is also now available to stream on a number of streaming platforms including Spotify. What are your thoughts on the song? Let us know in our forums! Mike Shinoda has released the video for Can't Hear You Now, the final track from his album Post Traumatic. The video directed by Tim Mattia features Mike emotively singing the song as a blurred silhouette on a bright white background. Tim Mattia also directed Heavy from Linkin Park's latest album One More Light. Check out the video below. Will you be attending any of these shows? Will Mike be heading to South America or Australia next? Come and discuss in our forums. 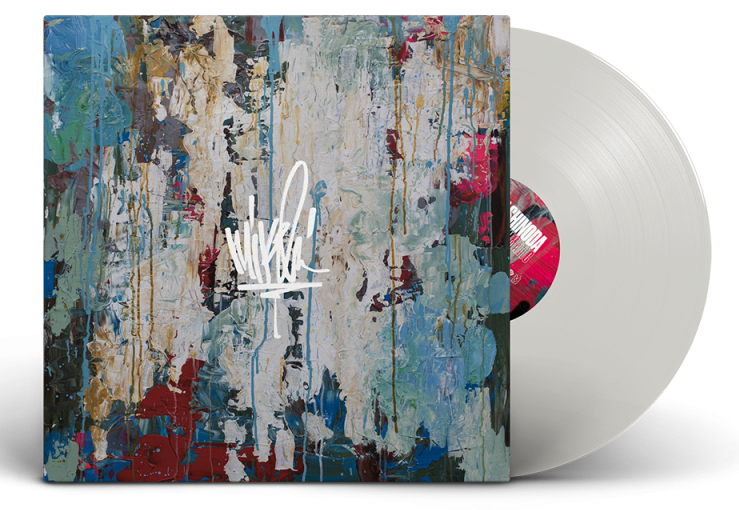 Mike Shinoda has just announced a new Post Traumatic vinyl release, this time a colored version with a 10'' bonus disc, containing two new songs. It will be released on December 7th and can be pre-ordered here. 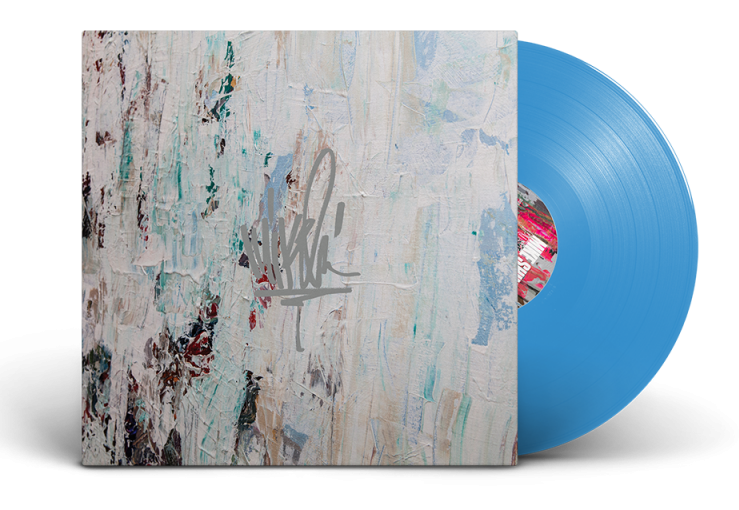 This release is limited to just 3000 copies, so make sure to get your order in quick! Interestingly enough, "Can't Hear You Now" is titled simply "Can't Hear You" on the pre-order page. If this is just a typo or this is what the title will be on the release, will remain to be seen. Are you picking this up? What versions of Post Traumatic do you own? Come and discuss in our forums. The LPA is powered by fans like you. Please consider donating to help towards our monthly hosting costs! Download this previously unheard, internal demo CD that contains alternate versions of With You, Papercut, Crawling & more. Available in high quality FLAC + MP3 formats. Download the 1997 Xero demo tape in superior re-mastered quality in both FLAC + MP3 formats. Download the Hybrid Theory 7-Track Sampler containing demo's in high quality FLAC + MP3 formats. Download this collaborative remix album for free in MP3 and FLAC formats. Listen to all past winners of our monthly remix contest all in one location. Download all past episodes of the LPA Podcast, featuring special guests and fan conversation related to Linkin Park.